One of the best lakes/ parks I’ve visited. I went to Arkansas to visit the Hot Springs National Park, and left wishing I had stayed longer in Ouachita rather than visit Hot Springs. Great camping site, enough space for two tents. Beautiful trails to hike and bike. The fishing was equally as good. Very nice sites. Plenty of room for your RV and most have a gravel pad - for your tent or setting up a washers game. The hike to the small waterfall beautiful! Beautiful lake - crystal clear! RV sites are spacious with easy access to lake. We stayed at Petit Jean State Park for the first time over Easter weekend. Even though the park was booked to capacity, it is so well laid out that it was really nice to be there.. The first night we were in loop we were in loop D. Unfortunately, the space was too small for our fifth wheel. So when I spoke to the visitor Center in the morning, they were able to put us in the highly desirable loop A. We ended up in site #30. It had a beautiful view of the lake. It's was also a plus to have full hookups including 50 amp service and sewer. So unusual for a state park. The during the days before we arrived, the area was hit by torrential rains. The weather cleared and I hiked down to the Cedar Falls trail to see the falls. 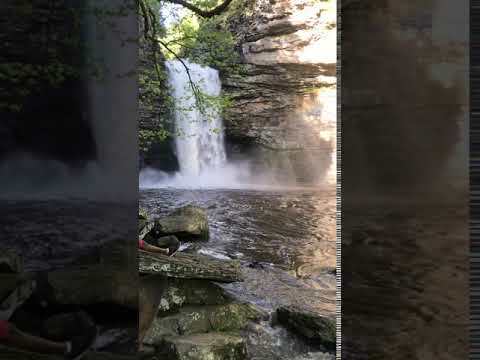 The video is of the roaring falls. There is not typically so much flow. We were lucky! We spent most of our days hiking the many trails the park is known for. It was at peak Dogwood season, so the understory of the Forest was beautiful! We will definitely camp there again! "Woolly Hollow State Park" is a hidden Gem !!! The drive on the Back Country 2 lane road drive is off Route 65,,, get's your excitement up wondering what to expect… There are no city light's to spoil the night's Starlite Sky.. And all you hear at quiet time are Mother Nature's soothing Sound's… It has Paved Road's,,, Concrete Pad's,,, Full Hookup's and a Lake to Fish or Swim in… The RV Site's are individualized almost no duplicate's… You are not sitting on top of each other's site… You have your own space to spread out… In our opinion all RV Park's should be setup like "Wooly Hollow State Park" !!! And if you just want to have a Good Ol' Family Picnic there are plenty of picnic area's with table's,,, some are covered… We give it """ 10 Star's """ !!! Very nice place. Friendly people. Good amount of space between campers. We were on Loop A number 16, so we faced a yurt and the lake. BEAUTIFUL hiking area!!! This campground is beautiful, well maintained and has clean facilities for showering and restrooms. There are several dump stations which are convenient and maneuvering into your space is very easy. Each site has a picnic table, fire pit and grill. The Rangers were very helpful and provided all the information we needed for a wonderful weekend. Need more TLC, needs repair the gravel roads, Cable TV doesn't work and wen you call the office the owner's give a sub story about it. After all the place is good for the money. On the Arkansas River, it’s a clean and beautiful park. Rv spots on all on the rivers edge. Plenty of room. Price for rv camping was very good. Nice park with lots to do! We camped in section C site 61. Great location, pretty view, close to bathhouse. Great hiking, fishing and views. Bathrooms are clean. We would highly recommend this park. My husband, myself, our dog and two friends tent camped for the weekend. We were lucky enough to have a site on the water. It's a nice park we hiked, rented a canoe and did some swimming. Very peaceful and nice campground. We will be back for sure. My husband, myself, our 10 year old son and another couple camped and 2 dogs in site #69. It was very nice site, we put up 2 tents. It is very close to the bathhouse, which is very clean. Right across from the campsite was a trail to the water, which was very convenient! We took our kayaks down and were able to swim in the water right there. I also highly recommend The Island Trail by the lodge and my son loved the snake talk and snake skin bookmark event. We had a wonderful weekend, the park was beautiful and everyone was friendly, we will be back for sure. Our favorite place to camp so far. We were looking for something waterside. We found a nice little pad big enough for two tents. Had a grill and a table. Had bathrooms and electrical outlets. We had to climb down some rock stairs to get to the beach which was dirty. But the water was nice and cool. The raccoons were fully active getting into our snacks, so lock up your valuables or FOOD! This is one of our favorite spots. We come here yearly. Its very kid friendly and well organized as far as camping spots. Very friendly staff. Nice info office for check ins with a store inside. Swimming area is okay but no lifeguard. We really liked the free boat tour that the rangers do. My kids enjoyed the educational classes and animal displays. We love camping here. It's a beautiful park and you won't get bored. There are walking paths, bike trails, hiking trails. The lodge is great, with gifts, a restaurant, and a beautiful overlook. They have an overflow lot in case you're unable to get a reserved spot. Nice CG with FH. Owners are great people. Close to Oaklawn Horse Track. We stayed here to try out our new camper without going too far from home. It's not the most beautiful campground, but it's nice enough. Some of the sites have full hook up and others don't. There is not way I'm aware of to make online reservations, but you can call or stop in. There is a disc golf course and mountain bike trails in the Burns Park as well as a golf course and several other activities. The staff was nice and the facilities were clean. Gulpha Gorge is a great campground. There are lots of good hiking trails in the Hot Springs National Park. While they do have nice restroom facilities, they do not have showers. The campsites are first come (not reservable). The sites could be a little better spaced apart, but it is still a nice campground. 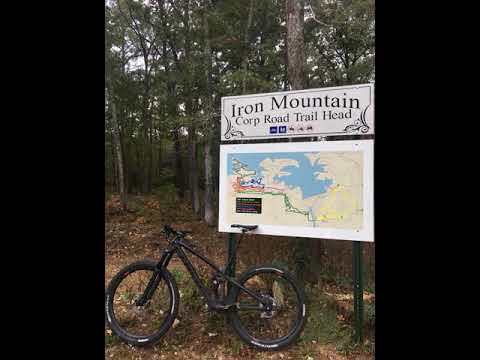 There are mountain biking trails and a disc golf course just up the road at Cedar Glades Park, which is nice. Lake Ouachita is a great place to camp. Many of the campsites have views of the lake and are spacious. They all have a fire ring, grill and picnic table. They also have family bathrooms that have a private shower/sink area. They have a few hiking trails as well. Beautiful park with lots of things to do! We went with our Cub Scout pack. DeGray loves scouts and scouting. They were able to accommodate almost 60 of us camping in the park and we hardly saw any other campers. The views are amazing and the Park Rangers are really knowledgeable and really love their park, which makes for a great experience for everyone. The area is very clean and well maintained. There are good hiking trails that also give you good vistas along the way. We stayed in loop b site 18. Originally we reserved site 25 but when we arrived the previous campers were having issues with their camper so we given the option to move to another available spot. So glad we did! You could still see the lake from our spot and there were fewer people. Lots of shade that in the summer would be very welcome. Less than 50 yards away is the bath house and it was always so clean, has showers, toilets, 2 sinks, hand soap and hand dryer. This may be the best bathhouse I’ve been to at a campground. We hiked the trail to the falls and it was a moderate intensity hike with a beautiful payoff. Great getaway! Hours of hiking with the whole family. Beautiful scenes. Splurged on a cabin and worth it! Lodge restaurant was good with nice lodge pool. The views off the lodge are stunning. Worth our drive from TX. We will tent next time! Beautiful. Close to the Hot Springs, and not crowded. I would reccomend this place to anyone who wants to just get away from the fast paced world we live in. Try it out and get away from the real world for a couple days! 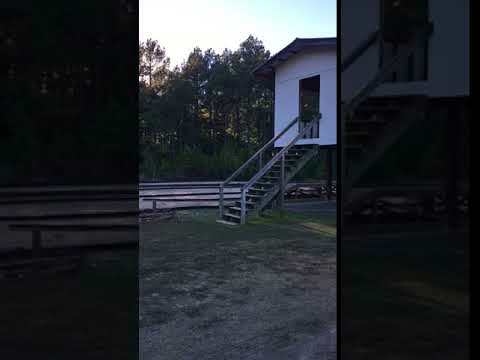 Maumelle Park is a nice campground located on the Arkansas River. They have some water front sites and several in wooded areas. The campsites are a little close together and there aren't as many trees as we typically like for privacy and hanging hammocks, but it is a nice park. They have several day use areas, a few playgrounds, and basketball courts. We stayed at site B23, which was just okay. The restroom facilities are nice. They had 2 dump stations. They do not have designated tent pads, but do have a fire ring and picnic table at each site. 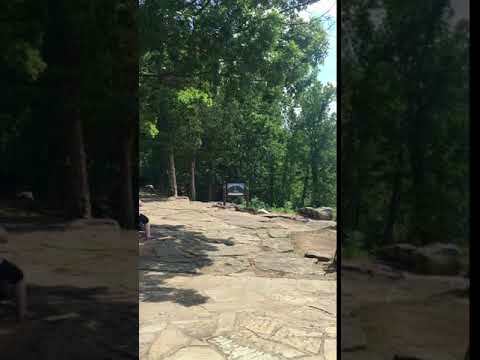 The campground is very close to riding trails and Pinnacle Mountain which is a fun area to hike. Peaceful campground with great mountain biking trails. We stayed here with another friend to explore the mountain bike trails. We didn't have water at our campsite, but we did have electric, and there were common areas with water spigots throughout the campground. Showers and facilities were nice. From our campsite, we could walk down a steep hill to the shore of the lake and sit in our camp chairs and fish. We also rented a kayak and kayaked out to a little island on the lake for lunch. We made a short drive over to DeGray Lake where they have a disc golf course. Wish they had full hook-ups now that we have a camper, but this is a really great campground. Beautiful lake with great camping and hiking. This was our first time camping here. We had my 8 and 10 year old nieces, who loved the hiking trails and the falls. It was too cold for swimming, but it would be a great place to swim in the summer. The campsites were spacious with separate tent pads available. There were yurts, boat/kayak rentals, a gift shop, and clean bathroom facilities. Our campsite overlooked the lake, which was really nice.